In our Interactive Charts system we combine a number of processes into one that works on any device with interactivity. Essentially we can ask a questions and generate responses based on those answers. The answers can come from the user or from a database repository on the site all without the user leaving one page. Any situation where you want to reduce the clutter, the amount of reading required or just add something different to a site. The only limitation on a device is making it a size that suits ie don't make it too wide and it works very well on everything. When Interactive Charts run they are incredibly efficient - it only loads what is needed and does not require a download or plugin. Users always have different ways of interacting with websites - many people prefer to do some research and contact the business if they think there is a good reason to. Any interactive mechanism (as long as it works efficiently) can gain you clients that slow cumbersome sites wont. Some people want to rip through and just grab your phone number, whilst others want to do some research and jump off to a better site if you can't help with that process. Rob Stones has a number of leadership development programs. 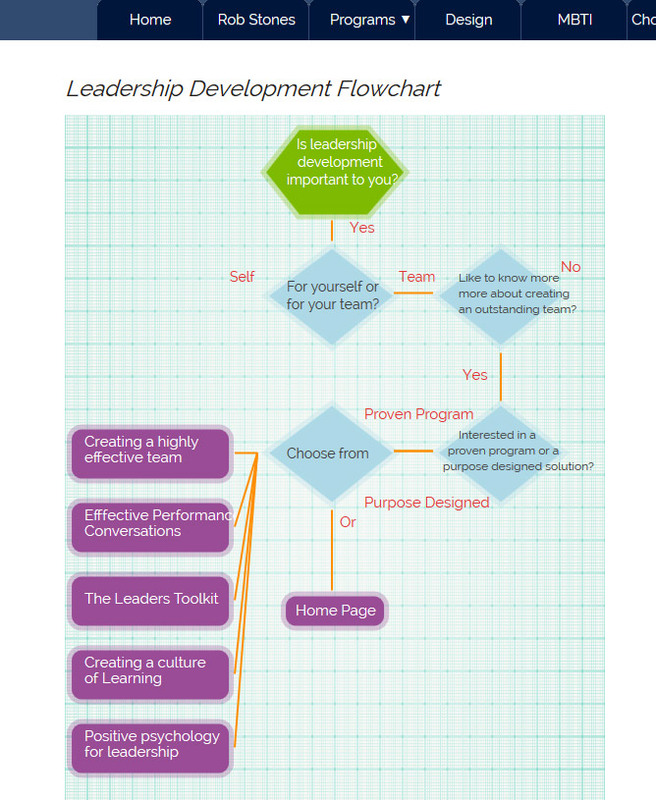 Our leadership development flowchart allows people to be directed to a program that suits them. That specific program is recorded and an email of the clients details is sent from the chart interacting with our back end administration system. Blair is a quality Painter Gold Coast. 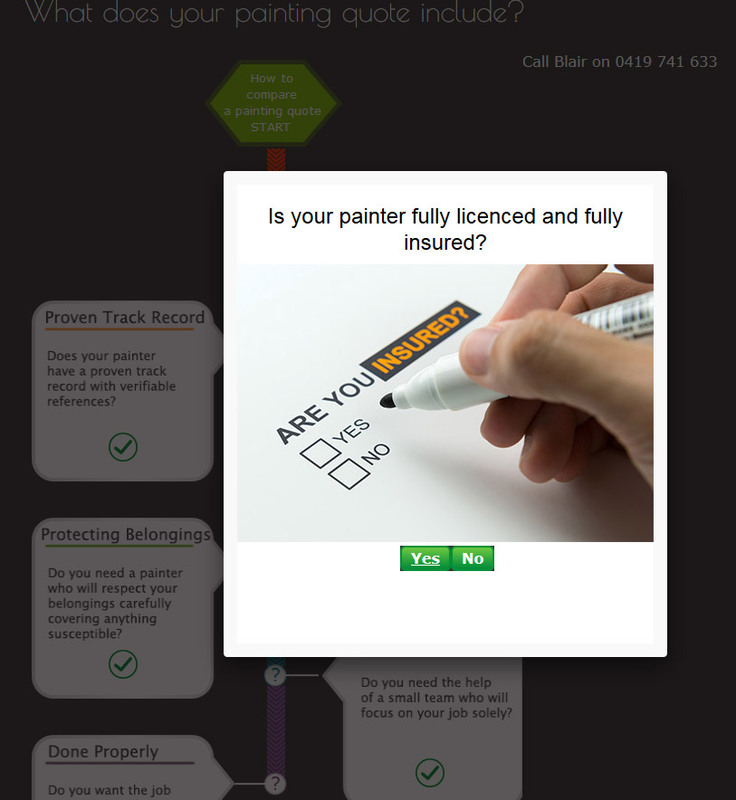 His Painting Quote Comparison asks users 6 Yes No questions and quickly highlights the difference between a qualified tradesman. 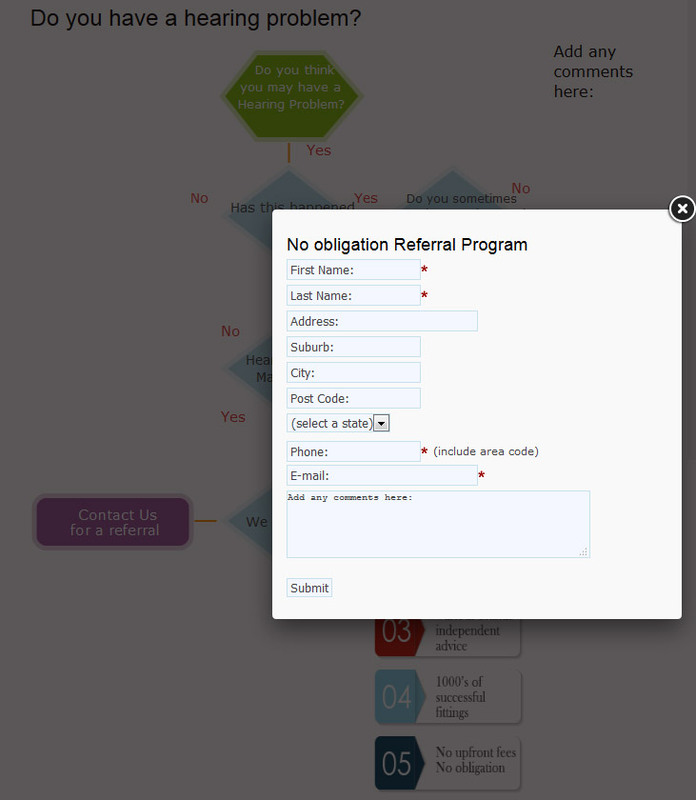 This Interactive Flowchart asks a series of questions about hearing and then allows the intersed customer if they would like to enter their details for a referral. The Hearing Aids Australia site has successfully referred many clients to quality audiologists around Australia.